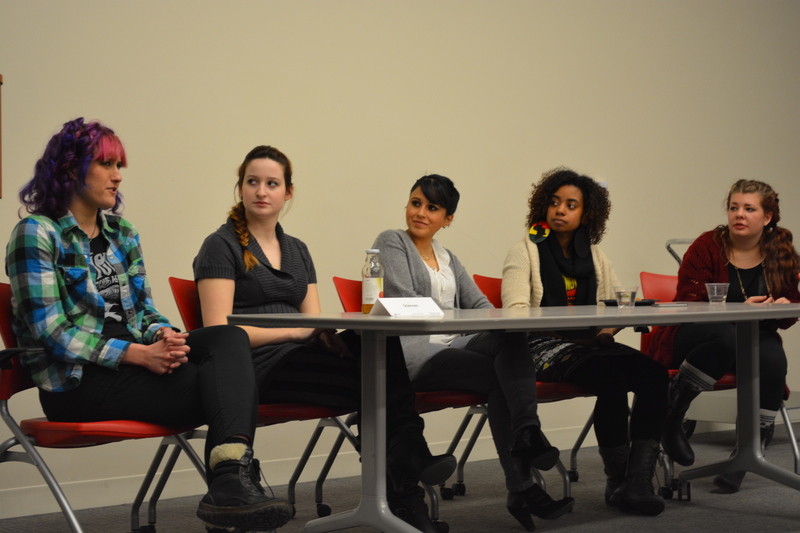 Roosevelt University’s College of Arts and Sciences held its first-ever “Exploring Your Major” event this past Thursday, which aimed to help students who were still on the fence to decide which major would be a good fit for them. The event, hosted by Associate Dean of Arts and Sciences Catherine Campbell, brought together students and faculty alike to have an open forum for students to ask each other about their still undecided majors. “We design this event specifically for undeclared majors because we know sometimes people just need more information about what Roosevelt offers and different disciplines in the college so students can make a good, informed decisions about their future,” Campbell said. Also included in the event was a student panel consisting of current students from the College of Arts and Sciences who talked about why they picked their particular major. Monika Gawlak, a graduate student in the history program, shared her passion for the less-popular field. Rebecca Wilson, a sophomore biology major, was also part of the panel and seemed to show as much passion for her major as Gawlak had for history. One of the other goals of this student panel, according to Campbell, was to inform students of majors that aren’t as popular at Roosevelt. According to Campbell, psychology is the most sought after major in the department, while the humanities are the least popular. Students at the event were handed feedback sheets in order to improve future events of this nature. Additionally, Campbell hopes to expand the purpose behind the event. With the help of Campbell, development and programs like these, the university aims to help the undecided make informative decisions that will lead to successful careers.